Surrender a PET dog - VOSD Rescue Store I Support the largest dog rescue in India & the largest in any city in the world. Please contribute a small percentage of the cost that VOSD will incur in the lifetime care of the abandoned or rescued dog you want to surrender. A lifetime of food, supplements, veterinary support and medication. It takes approx. ₹ 20,000 per year to maintain a healthy dog and can be 5x that much to maintain an infirm dog. It is mandatory to send us the vaccination records of the dog with latest DHPPi and Anti-rabies vaccination details as part of the surrender process. Please ensure the same before raising the ticket and making surrender fees payment. The dog should be preferably spayed/neutered though this is not mandatory. In case you raise the surrender ticket and then decide not to send the dog to us, no refund will be made. So please think carefully before raising the surrender ticket. 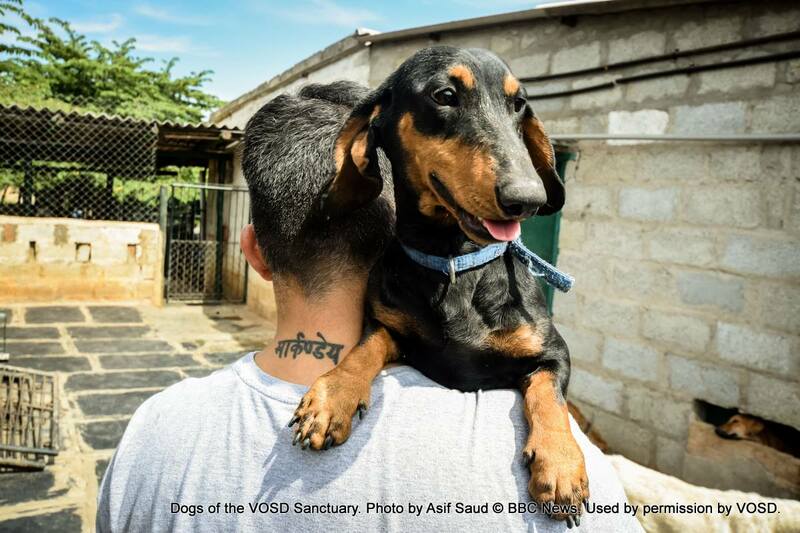 The dogs surrendered to us come to the VOSD Dog Sanctuary which is home to 750+ dogs, 200+ of these have come from Mumbai, Pune, New Delhi, Chennai and several other cities in India. We are a unique place, a veritable paradise for dogs on earth, called the VOSD Dog Sanctuary. Dogs are never chained or caged or enclosed no matter how ‘aggressive’ they have been reported to be. They live in large enclosures each 1000-5000 square feet with indoor and outdoor areas, with grass and tree cover for each. There are 30 such enclosures, 300 trees, 2 ponds and 1 well. Over the last 2 yrs 1000+ dogs rescued/ reported by various people have come to VOSD , of which some 20-30 have been surrendered with a contribution. We have never enforced any contributions for these dogs from the senders in any way. However, with the number of dogs increasing exponentially, it’s only right that you contribute something towards the upkeep of the dog in our care. The average boarding & treatment that these dogs come from when you rescue them costs you an average of ₹ 1,000 to ₹3,000 per day. We incur the same costs and are asking a fraction of the costs towards the lifelong upkeep of the dog. Please contribute a small percentage of the cost that VOSD will incur in the lifetime care of the abandoned or rescued dog you want to surrender. A lifetime of food, supplements, veterinary support and medication. It takes approx. ₹ 25,000 per year to maintain a healthy dog and can be 5x that much to maintain an infirm dog.